When the rumor about the release or should we say re-release of the Air Jordan 11 Concord surfaced, Jordan enthusiast were absolutely surprised. And after Jordan Brand confirmed the reports, this model from Jordan Brand has been creating huge buzz in the market. One of the best if not the best Air Jordan of all time, the Air Jordan 11, will be coming out again in White/Dark Concord-Black, which was the original colorway when it was released in 1995 and was also the first one to feature a patent leather. 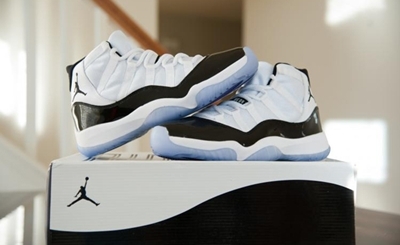 The much-improved Air Jordan 11 Concord will be coming out this Holiday Season so watch out for it!